India's Justin Bieber Is Here... And She's A Girl!! Remember Justin Bieber's first single, “Baby”? We sure do! It was so hummable that even if we listen to it now, we can’t help, but sing along with it. (“Baby, baby, babyy ohh!” See, it’s hard to stop!) 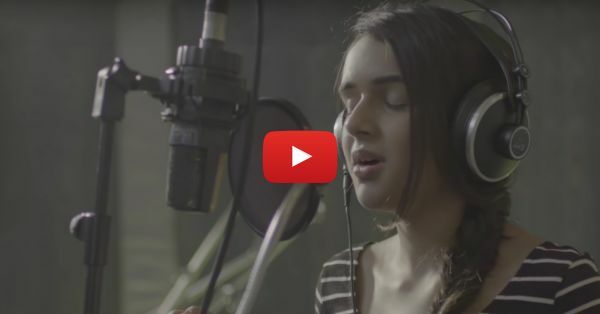 Suchitra Krishnamoorthi and Shekhar Kapur's daughter, Kaveri, who’s just 15 years old, has just released her first song - and after listening to it we feel that she’s India’s Justin Bieber (because…well, you’ll know when you’ll play the song.). She has written, composed and sung her first single, “Did You Know”, and that’s amazing. It’s a love song and the lyrics are just so beautiful. “Did you know, your smile, it makes my day? And your eyes, they make the pain go away.” Aww, we could hardly THINK like this when we were 15. Listen to Kaveri’s new song here…! PLUS: Subscribe to POPxo on YouTube for original videos + our favourite videos from around the web! MUST-READ: This New English-Punjabi Song Is The ULTIMATE Sangeet Number! MUST-READ: This AMAZING Cover Of “Hum Bewafa” Will Give You Goosebumps!